This drone normally sells for around $100 but you have what is likely to be a limited-time opportunity to grab it for just $79. That is a representative saving of 20% for a sought-after drone which is guaranteed to offer hours of fun. Drones that exist within a military sense aren’t exactly flavor-of-the-month at the moment, and rightly so. However, these whimsical and fun drones that are aimed at the average consumer are simply from strength-to-strength. And, once again, rightly so. That level of popularity is driven by creations such as this Ryze Tello drone which gives an affordable and easy-to-manage insight into drone technology and ensures that budding enthusiasts get a mellow introduction to controlling and flying a drone of this nature. This impressive little drone is aimed at kids and adults alike and should be extremely fun to fly and should give a decent insight into the basics of drone ownership. It comes with a dedicated application, DJI Flight Tech onboard to ensure that it’s reliable and has longevity thanks to industry-leading components. 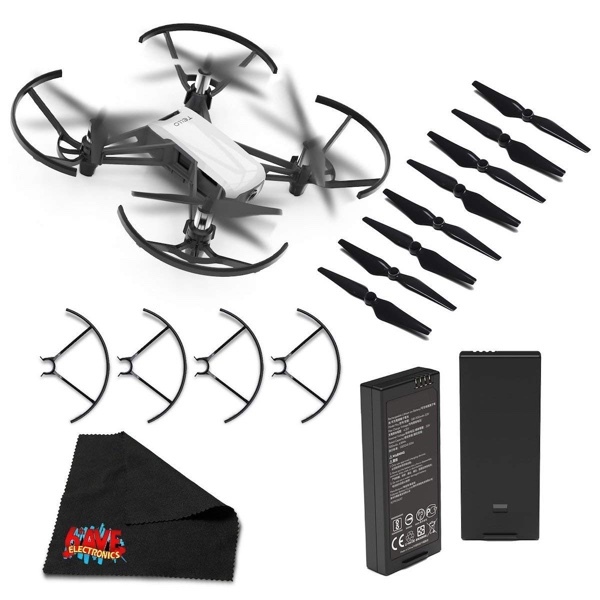 It also has the easiest method of launch that you could ever imagine by simply being able to toss the Tello drone up into the air and being able to perform 8D flips and cool aerial stunts without any prior knowledge. Under the fun and playful exterior, the Tello drone packs a technological punch. It comes with an internal Intel processor and imaging kit that is capable of capturing 720p MP4 video and still JPEG images via its 5-megapixel camera. The hardware is also going to be capable of giving you 13-minutes of flight time thanks to the integrated battery. It may not seem like much but this drone definitely isn’t one that’s intended to match the likes of the DJI Mavic Pro and spend half an hour in the air before returning home. Think of this as a fun and whimsical entry-level drone experience that you can now own for just $79. Find out everything else that you need to know from the direct product link below but make sure to act quickly if you want it delivered before Christmas.